Polls Schmolls, Give Me Markets! Keeping up with the…Hermit Crabs? Daylight savings is upon us and it got me thinking about the old saying “time equals money”. In an effort to have some fun at the expense of this old adage, here are some examples that go against this famous line. 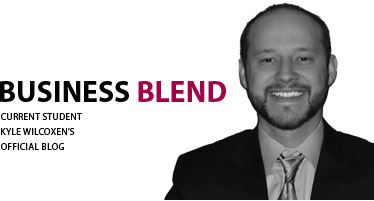 Business Blend is a fresh mix of leadership, marketing, economics, finance, ethics, management, and more from an MBA student’s perspective. I intend for this blog to be a forum to share new ideas and perspectives that complement Loyola University Chicago’s promise of "preparing people to lead extraordinary lives."